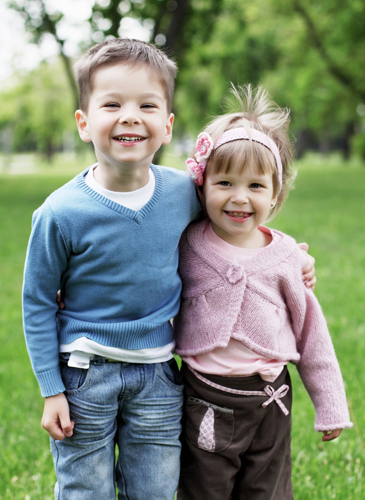 At the Mews dental clinic we consider children to be very special patients. 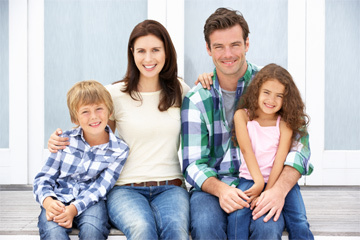 Our aim is the prevention of dental disease, by providing the most up-to-date advice and preventative dental care. We encourage dental visits at a young age, so that children can develop good dental habits for life and a positive dental experience. Regular visits will ensure that your children will not suffer from untreated dental decay, which can have negative effects on their dental development. Children’s teeth start to develop before birth. There are two sets of teeth: “milk” teeth and permanent teeth. Children usually have 20 milk teeth, which start to appear at about six months, and all are through by the age of three. The last milk tooth will fall out at around 12 years of age. Your child’s milk teeth are important for their eating, speech, and confidence. They are also important for the development of the permanent teeth, so it is very important to look after them. By doing so it will avoid dental pain, infection or treatment. The first permanent molars (back teeth) will appear at about 6 years of age, behind the milk teeth, before the first teeth start to fall out at about 6 or 7 years of age. It is not uncommon for permanent teeth to appear before their predecessors are lost, resulting in a double row of teeth. This situation is usually quickly resolved once the milk tooth is naturally lost. Adults have up to 32 permanent teeth and these should be in place by the age of 13, except for the wisdom teeth. These may erupt at any time between 18 and 25 years of age. It is important to remember that all children are different and develop at different rates. It is recommended that children should go to the dentist with their parents as soon as possible to get them used to the surroundings and what happens at the dentist. We suggest that their first examination is at the age of one by which time they should have most of their front baby teeth. By introducing your child to dental visits at an early age, they will be more relaxed and develop good dental habits for life. We would then recommend regular six monthly visits from the age of 2 years so we can closely monitor your child's dental health and development. We also know that 1 in 8 three year old children have visible dental decay, so we don't want children waiting until school age for their first dental visit. Dental decay is almost always preventable and we want your child to grow up with healthy teeth that are free from decay. Children will often pick up on anxieties that you may have as a parent, so it is important to reinforce that a visit to the dentist is nothing to worry about. We would recommend that you don't discuss fears that you may have in front of, or with, your child. Also try to avoid using any emotive words such as 'pain', 'drill' or 'injection' as although well intended these can cause worry and fear for a child. By bringing your child regularly for visits, it will get them used to the dentist and their team and what happens here. It is much easier to treat a child who is familiar with their surroundings and friendly faces as they will feel prepared and relaxed. When children’s teeth first erupt they are always free of decay, and therefore it is important that prevention starts from the moment that they appear. Babies should not be given bottles containing juices or squashes, as this can cause serious damage to the teeth. The main cause of tooth decay is not the amount of sugar in the diet, but how often it is eaten or drunk. The more often your child has sugary foods or drinks, the more likely they are to have decay. It is therefore important to keep sugary foods to mealtimes only. If you want to give your child a snack, try to stick to cheese, vegetables and fruit, but not dried fruit, which often has high sugar content. Any sweets should be eaten at mealtimes only. Drinks should be limited to water or sugar free squashes with artificial sweeteners. Snacks should also be avoided for an hour prior to bedtime, even if toothbrushing afterwards. Acid erosion of the teeth can be caused by the regular consumption of acidic fruit and juices.We would recommend that fruit juices are limited to mealtimes, and that teeth are not brushed for a least an hour after consumption, as the enamel will be softened. It is also important to be aware that fizzy drinks, such as Coca Cola, are also acidic in nature. Toothbrushing twice a day with a fluoride toothpaste, will help to prevent tooth decay. For children of 6 years and over, the use of a daily fluoride mouthwash will provide extra protection, but must be spat out and not swallowed. We would recommend that this is used at a different time to toothbrushing to gain maximum benefit. Cleaning your child’s teeth should form part of their daily hygiene routine. It is usually easier to stand or sit behind your child, cradling their chin in your hand so you can reach their top and bottom teeth more easily. That way brushing their teeth is similar to brushing your own teeth and your child is not able to move their head away. When the first teeth start to come through, try using a baby’s toothbrush with a small smear of children’s toothpaste (low fluoride 1000 ppm). It is important to help and encourage your child with toothbrushing, until they are at least seven years old. Make toothbrushing a team effort and reinforce its importance by brushing your own teeth in front of your child. Always give praise as this will get results. Toothbrushing should be a daily routine, brushing in the morning and last thing before bedtime. Once the teeth have come through, use a small-headed children’s toothbrush, suitable for your child’s age, making small circular movements and try to concentrate on one section at a time. It is important to brush where the teeth meet the gums. When your child starts to brush their own teeth, this should be under supervision and only a small amount of toothpaste used. Brushing should last for 2 minutes, and the use of a timer (available to buy at reception) or electric toothbrush with timer, will help your child with this. There are many different types of toothbrushes available, brightly coloured, with favourite characters on, electric ones with timers and all will encourage your child to brush their teeth. Electric toothbrushes with timers will often make brushing easier and more effective. Many children respond positively to their use as they find brushing more fun. Change your child’s toothbrush regularly. Fluoride comes from a number of different sources, including toothpaste, mouthwashes, specific fluoride applications and sometimes drinking water (there is very little in the Godalming area). These can all help to prevent tooth decay. The concentration of fluoride in different toothpastes varies significantly and children need to use a toothpaste appropriate for their age. Young children up until 3years of age should use a toothpaste with a low level of fluoride (1000 ppm), with only a small smear of paste being used. At 6 years of age, an adult toothpaste should be used, using a small pea sized amount. Encourage your child to spit out as soon as they are able, usually at about 6 years of age and supervise the amount of toothpaste used up until 7 years of age. Does my child need to wear a mouthguard for sport? A mouthguard is a rubber-like cover, which fits exactly over the teeth and gums, cushioning them and protecting them from damage. It is important to wear a professionally made mouthguard whenever your child plays any contact sport, such as cricket, hockey, rugby and football. During these sports damage to the teeth and jaws may occur, and a mouthguard will help to protect against these events. 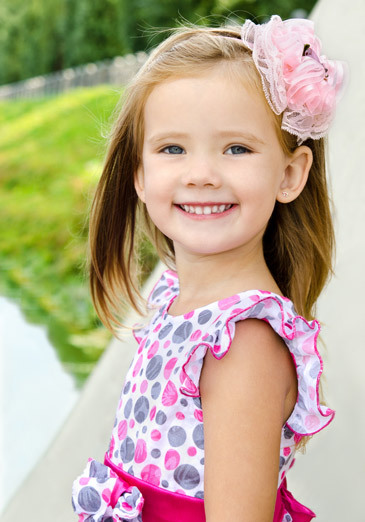 We will be happy to make a custom- made mouthguard, by taking impressions of your child’s mouth. The mouthguard will then fit the mouth exactly and your child will find it comfortable to wear. We make many types of mouthguard including striped, multi-coloured and clear. Children often like to have them made in their team colours. As your child’s jaws continue to grow and the teeth erupt, their mouthguard will need to be replaced regularly, usually on an annual basis. Mouthguards made from home-kits unfortunately often fit badly and are uncomfortable to wear. This often results in them falling out or children failing to wear them. The material used can also be too thin to give enough protection to the teeth and jaws. When you consider the cost of expensive dental work and the risk of missing teeth, it is a small price to pay for peace of mind. What do I do if my child damages or knocks a tooth out? If it is a milk tooth then do not replace it, as this may damage the developing adult teeth. If you can find the tooth and it is clean, then put it back into the socket yourself, making sure that it is placed the right way round. Your child should then bite on a clean handkerchief for about 15-20 minutes. Or put it straight into a cup of milk,or saliva(spit), or keep it in your own mouth. Do not place in water or let it dry out. It is important to avoid touching or cleaning the root of the tooth. Give your child an appropriate painkiller if necessary. Avoid one containing aspirin, as this may encourage further bleeding. The sooner the tooth is replaced, the better the chance of success, ideally in under 30 minutes. We will put the tooth back in place and attach a dental splint to keep the tooth in place for approximately a week. Once the splint is removed we will then continue to monitor the tooth. However it is likely that further treatment will be necessary in the future.